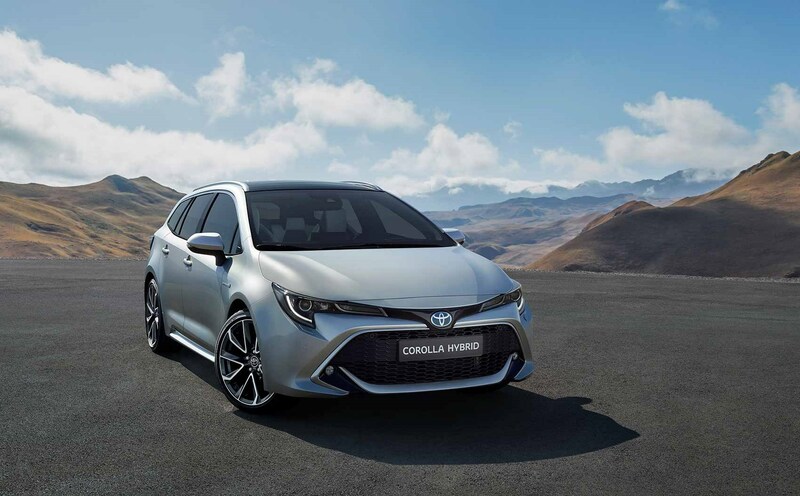 A blast from the past is back: the Toyota Corolla Touring Sports marks a return to an old name for what we thought would be called the new Auris. Instead Toyota has elected to switch back to the big-selling global nameplate after failing to cut through with its Auris badge. And the Touring Sports is the estate version, unveiled in full at the Paris motor show 2018. It's due to go on UK sale in time for the new 19-reg number plate change in March 2019 and having a good poke around at the Paris show, we can conclude that Toyota might just be back in the game with the new Corolla. So what makes the Toyota Corolla Touring Sports a good estate car? Toyota claims its new global TNGA architecture has enabled more variation from the hatchback, making it 'a distinct, separate model in its own right.' 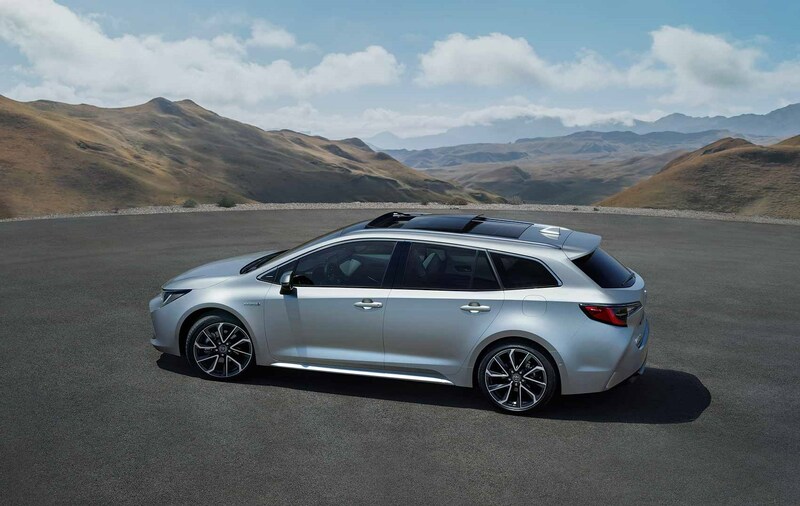 The platform, dubbed GA-C in this compact estate codename geeks, is sufficiently flexible that many of the key dimensions of the estate are different from the five-door. A longer rear deck extends the boot space of the new Corolla wagon and Toyota claims a loadspace of 598 litres, which is pretty decent for a mid-sized estate. No figure has been issued yet for maximum loadspace with the rear seats folded but the loadbay has impressed at its Paris show debut. The long wheelbase of 2700mm helps here and Toyota quotes class-leading rear legroom. This car was designed at the brand's new styling studio in Belgium; look out for four dual-tone paint schemes which pitch the roof, pillars and lower grille surround in contrast black. 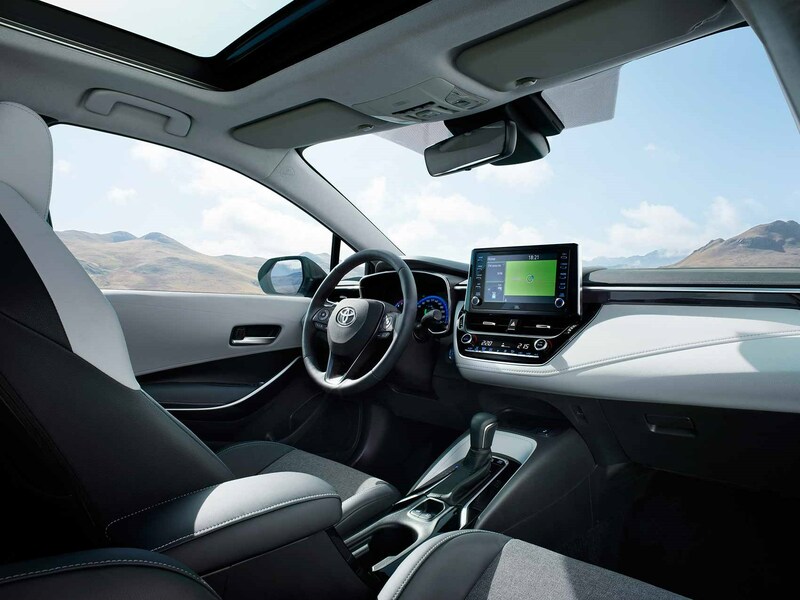 The interior is dominated by a big touchscreen, whose chunky 'hard keys' will make a doddle of navigating menus and infotainment details. It's as well made as you'd expect of a Toyota. Must be a hybrid, right? You guessed right. The new Corolla range comes with a choice of hybrids (which just goes to show how much further ahead Toyota is in the electrified genre). The batteries are stowed under the rear seats, helping to give a lower centre of gravity. It's not a plug-in though; remember Toyota refers to its hybrids as 'self-charging' models. When can I buy the Toyota Corolla Touring Sports? The car will go on sale in spring 2019 and UK prices will be confirmed nearer the launch. The new Toyota Corolla is manufactured at the Burnaston factory in Derbyshire, with engines coming from the Toyota engine plant in Deeside.